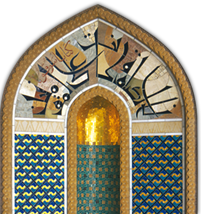 The exhibition "Religious Tolerance: Islam in the Sultanate of Oman" and the accompanying documentary film by award-winning filmmaker Wolfgang Ettlich premiered at the Volkshochschule (adult education center) in Ludwigshafen, Germany. Ludwigshafen is the hometown of former German Chancellor Helmut Kohl. He started his political career in the same room where the opening ceremony was held. 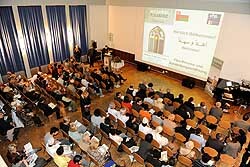 The exhibition opened on April 16, 2010, in the presence of Mr. Said bin Yahmadi, Counselor of the Embassy of Oman in Germany; Dr. Mohamed Said Al-Mamari, of the Ministry of Endowments and Religious Affairs; and Mr. Wolfgang van Vliet, Head of Department of Social Welfare and Integration of the city of Ludwigshafen. There were approximately 200 guests in attendance, among them nearly 50 Omani students who are holders of scholarships for study at various universities in Germany. 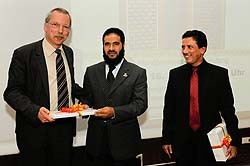 The German-Omani Association served as benefactor, covering the costs of the students‘ transportation and accommodations. 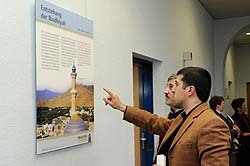 Other notables among the guests were representatives of each of the Islamic unions and communities of the city of Ludwigshafen, who without exception praised the exhibition and the film, and lauded the initiative to undertake such an exhibition. The exhibition was prominently displayed at the entrance area and along the main corridors of the VHS, which are heavily trafficked, making it highly visible. The exhibition in Ludwigshafen was seen by approximately 4000 people.